For all the promise of patient engagement technology such as chatbots, wearables, self-management apps, and passive sensors, engagement is still a high-touch process. But just because cutting-edge technology isn’t part of the everyday workflow doesn’t mean engagement hasn’t been moving forward. As our recent Population Health Management Market Trends Report concluded, technology adoption is most advanced in PHM’s early stages (risk stratification) and later stages (performance analysis). Producing generic care plans and determining outcomes and goals is mostly automated, though personalizing plans tends to require human intervention. Engagement often happens the old-fashioned way – in person – whether in a clinical setting, the patient’s home, or an outpatient facility. This is especially true for high-risk and high-acuity patients with a complex set of social determinants of health (SDoH) that inhibit access to care. When interventions don’t take place in person, they often happen over the phone – the speaking-into-a-receiver part, that is, and not the sending-a-text, using-an-app, or watching-a-video parts. The Bridge to Pop Health East conference in Boston, with a heavy emphasis on strategies and tactics for healthcare providers, reinforced many of our conclusions about technology adoption in PHM workflows. The most mature case studies focused on the use of analytics for patient identification and program assessment. This is hardly surprising. PHM tends to be closely tied to value-based care initiatives that penalize providers for poor performance, so targeting the patients who are most likely to get better is a sound business decision. Engagement matters – but engagement with the right patients matters more. Modest progress in using technology to improve patient engagement does not necessarily mean that population health management initiatives continue to approach engagement the same old way. As a result, the examples of digitized patient engagement that did emerge from the conference were a bit closer to “fax machine” than “Star Trek tricorder” on the innovation continuum – though, to be fair, they did come with measurable outcomes. Atrius Health gives patients tablets to complete behavioral health screenings in the waiting room prior to appointments. Screening data is then available in the EHR, both at the point of care and for retrospective analysis – Atrius collected 75,000 data points in 2017. Sutter Health applied behavior change principles to its email and SMS messages that encourage patients to schedule appointments for wellness visits or preventive services rather than wait for the office to reach out. The system saw a fourfold increase in self-scheduled appointments, saving $4 in administrative costs each time. HealthEast Care System automatically enrolled total joint replacement patients in an email- and SMS-based educational program that covered topics such as pre-surgery preparation (fasting and medication use, for example) and post-surgery recovery. Day-of-surgery cancellations dropped, as did readmissions; length of stay was shorter, too. Mercy Virtual Health saw a 500% decrease in the annual costs associated with treating a high-risk cohort of 1,000 patients by shifting from inpatient care to a combination of onsite and remote patient monitoring. That said, modest progress in using technology to improve patient engagement does not necessarily mean that PHM initiatives continue to approach engagement the same old way. Over the last three years, new front doors to care have opened (or been opened further): Retail health, urgent care, telehealth, kiosks, employer-sponsored clinics, monitoring apps and devices, virtual assistants, and even the occasional drone. This broadens patients’ access to care. It also challenges traditional provider organizations to improve patient engagement – or risk losing market share and revenue. 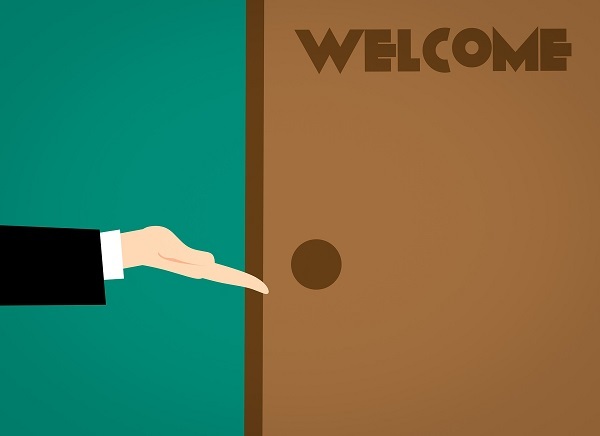 To extend a metaphor, Bridge to Pop Health East also provided examples of new provider-based care team members knocking at the door of the patient’s home. Sending paramedics on home visits in rural or underserved areas where visiting nurses or home health professionals are in short supply. Referring recently hospitalized patients to a standalone community clinic that focuses predominantly on SDoH such as housing and food assistance. Embedding community health workers in neighborhoods, not hospitals, to boost their visibility as well as expose them to common care gaps or other service needs. Partnering with logistics firms to deliver and set up durable medical equipment in a patient’s home, allowing home health professionals to focus more on care delivery. Moving further, informal conversations at the conference alluded to a host of non-clinical services: Rideshare, meal delivery, home repair (to address fall risks or ventilation concerns) – even housekeeping and landscaping. This points to the importance of accomplishing tasks and alleviating burdens that prevent patients from doing anything but focus on their health and wellness. As providers move forward with PHM, they are taking a long, hard look at patient engagement. Much of the movement so far has been high-touch, essentially replicating traditional inpatient workflows in the outpatient or home setting. The new care team roles don’t come with the same educational and licensure requirements as nurses and doctors, and healthcare continues to add jobs, but this growth will be hard to sustain. To be blunt, healthcare systems will no longer be able to throw people at the problem. When this tipping point comes, forward-thinking PHM programs – those that open community clinics, allow paramedics to conduct home visits, and recommend a handyman to recent surgery patients – will start to turn to the technology that will further empower patients opening the new front doors to care and staff answering those doors. And then the virtual assistants, sensors, and robots will take their place in patient engagement workflows. The traditional model of consuming healthcare services is changing. Frustrated consumers – accustomed to the technological advances that have improved air travel, retail, and a host of other industries – increasingly eschew the doctor’s office for newer, more convenient care delivery models. They’re even willing to pay more for these services. This ongoing shift forces all healthcare organizations, from solo practices to sprawling academic medical centers, to reconsider how they treat low-acuity conditions now and plan to address chronic care management in the future. This month’s Domain Monitor will examine how retail health, telehealth, and direct primary care continue to threaten the traditional model of primary care, identify the challenges that these types of “convenient care” pose, and explain how prudent healthcare IT vendors can address these challenges.